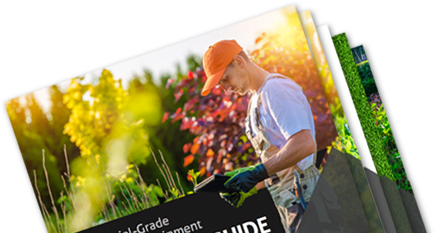 The landscaping industry is booming, and it can be challenging for businesses to keep up with the increased demand. To handle jobs efficiently and produce results that will exceed your customers’ expectations, it requires the right equipment. 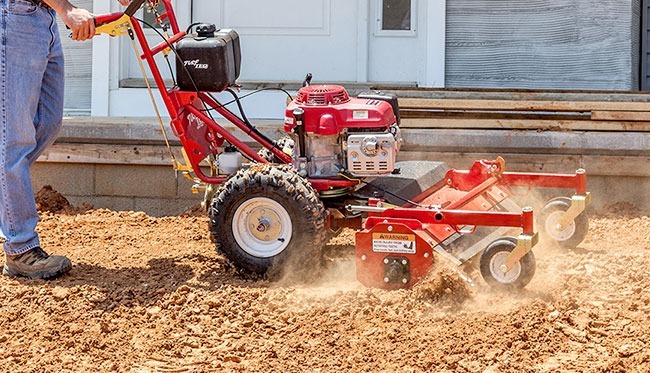 At TURF TEQ, we design our multi-use machines to help professional landscaping companies like yours get more done in less time—without sacrificing quality. Our Power Rake helps you boost efficiency and deliver exceptional results. Read on to see how! 1. It stands up to tough terrain. Our multi-use machines have a commercial-grade Honda engine and a variable speed, hydrostatic transmission with locking differential. They have the power and functionality to handle jobs other brands’ machines can’t. And they’re quicker than the competition! 2. It puts your crew in control. TURF TEQ multi-use equipment has all controls within convenient reach from the operator’s position. Its walk-forward, self-propelled design cuts down the amount of manual effort your crews need expend. They’ll thank you for that! 3. It’s more than a rake. By simply changing attachments with the seasons, your Power Rake will transform into a Power Edger or a Brush Cutter or a Power Broom. Whatever task is next on the list, you’ll be ready to handle it. And by using a single engine and transmission with multiple attachments, you’ll maximize your equipment investment and achieve quick ROI. 4. It produces outstanding results. With its tight turning radius and 36″ heavy-duty drum that pivots left, right, and center, our Power Rake is both versatile and rugged. It does an exceptional job on challenging projects that other manufacturers’ rakes cannot handle. Best of all, it fits where larger machines can’t go. Our Power Rake, just like all of our other TURF TEQ machines, is made in the United States and only with the best quality materials. We back it with a comprehensive one-year warranty; you can be confident in its performance and reliability. Ready to learn more about how you can take your profitability to new heights? Contact us for more information about our multi-use commercial landscaping equipment.